Sponsor a dog. Transform a life. Help us build our second Training Centre! Help us to raise £3.1 million so we can train more dogs and, ultimately, transform more lives. Could you help secure our future by leaving a gift in your Will? Gifts in Wills are a crucial source of income so that we may continue to create life-changing partnerships. Your commitment to our long-term future is so important. We are currently receiving more applications than ever before, and we know this demand will continue to grow. A gift in your Will, no matter how large or small will help us continue our work training amazing dogs that transform the lives of people with disabilities all over the UK. “In the past if I was in pain, I may have stayed in bed all morning but I now get up, carried along by May’s love of life! We receive no government funding, so rely solely on donations in order to purchase or breed a puppy, train them and then match them to their human partner. We also provide an aftercare service for the lifetime of the partnership. What is a gift in your Will, or legacy gift? A gift in your Will, otherwise known as a legacy gift is when you write into your Will that you wish to leave a percentage of your estate, or a specific amount or possession (after any debt payments, expenses or other specified payments) to a charity when you pass away. One third of our income comes from gifts left in Wills. There is a common misconception that gifts in Wills are only left by the wealthy or famous, but this is simply not true. A gift can be left by anyone who wants to make a positive difference. To leave a gift in your Will does not cost you any money, and won’t affect you now. However, one day it will make a vital difference to people with physical disabilities. Thanks to a new Government initiative, by leaving 10% or more of your estate to charity, the rate of Inheritance Tax applicable to the remainder of your estate is reduced to 36%. Therefore, by giving to Canine Partners you are also helping your beneficiaries as well. No matter what your motivations are for choosing Canine Partners, you can be confident that any gift you leave will be used wisely and effectively in our mission to provide greater independence to people with physical disabilities. 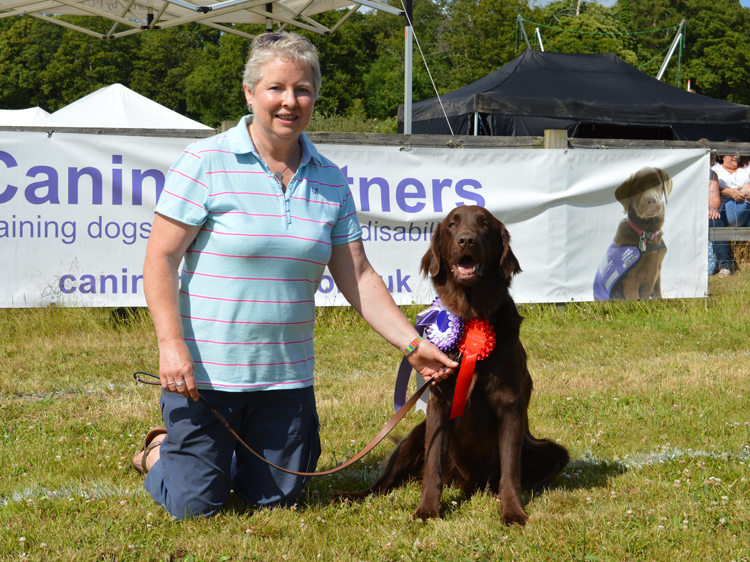 “Whilst I am fortunate that I can give the gifts of time and a loving home to canine partners within my lifetime, I decided that I wanted to do more. Discover the types of gifts you can leave in your Will. No matter how much you are able to leave in your Will, every penny will go towards transforming lives through amazing partnerships. Find out how to add Canine Partners to your existing Will. If you are yet to write your Will, we recommend contacting a solicitor first who can advise you. Answers to some of the frequently asked questions around leaving a gift in your Will to Canine Partners. 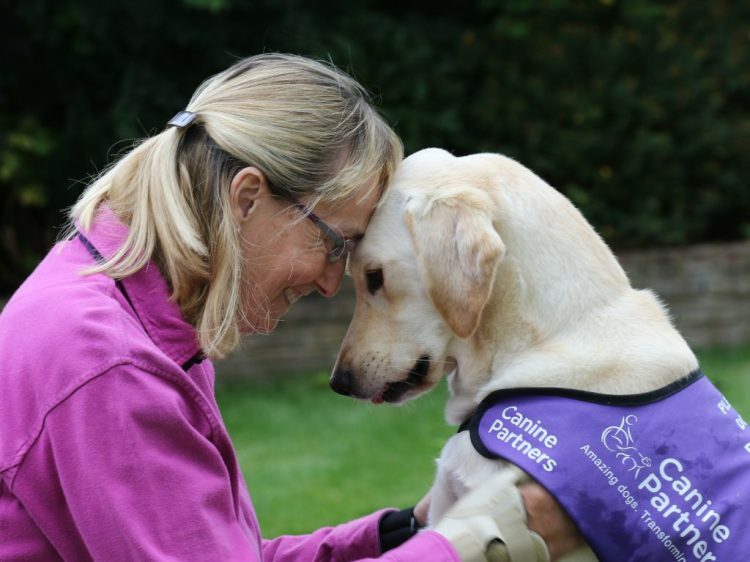 Get in touch with the Canine Partners legacies team. Our legacies team are on hand to answer any queries you may have. Whoops - 0 errors have been found, please correct the field(s) marked with an exclamation mark and re-submit the form. Please check that your e-mail addresses match. We will use the personal information collected on this form to process and communicate with you about your enquiry. Canine Partners respect your personal information and your privacy and we will not sell or share your data with other organisations. You can change how you hear from us, including telling us if you do not wish to receive occasional direct mail or calls from Canine Partners by visiting caninepartners.org.uk/keepintouch or by calling 01730 716 010. Thank you to our amazing supporters! See how your support is transforming lives and find out about our events in our new email newsletter. Please enter your email address. Please enter a valid email address. Could not connect to the registration server. Please try again later. Thanks for signing up, check your email for confirmation (If it doesn't arrive please check your SPAM folder). Join the fun and see what our puppies, dogs and supporters are up to! 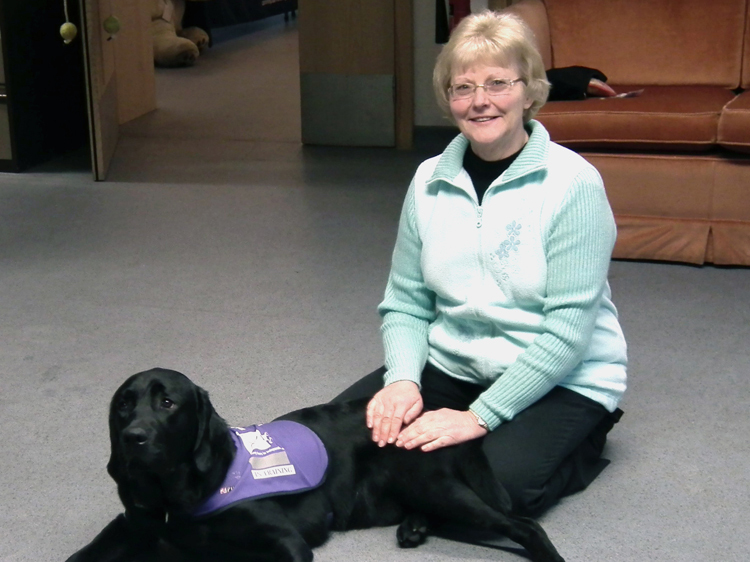 Canine Partners, registered charity in England and Wales (803680) and Scotland (SC039050). A company limited by guarantee, registered in England and Wales company number 2516146. Registered office: Mill Lane, Heyshott, Midhurst, West Sussex, GU29 0ED.